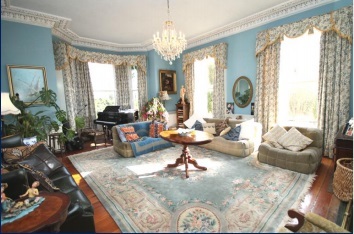 Mill House is a substantial period property built in the late 1700’s extending to 5,800 sq. ft. (538.8 sq.m.) 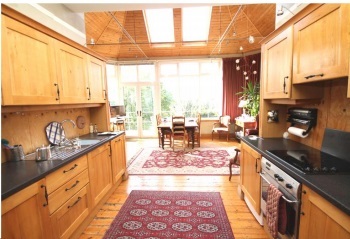 over four floors offering exceptionally spacious light filled accommodation. Approached by a recessed entrance to a sweeping tree lined gravel drive leading up to the residence, this property is set amid 1.8 acres of gardens, mainly in lawn enclosed by trees and hedges. This backdrop provides a secluded private setting on the banks of the canal. This is a wonderful property presenting tremendous further potential to a new owner with some fine features including sash windows, window shutters, 12ft ceilings, ornate coving, conservatory, six ensuite bedrooms, oil fired central heating and garages/stores. Excellently situated along the banks of the canal only a short walk from Sallins with the train station and Naas Town Centre offering all the amenities — shops, schools, pubs, restaurants all on your doorstep. 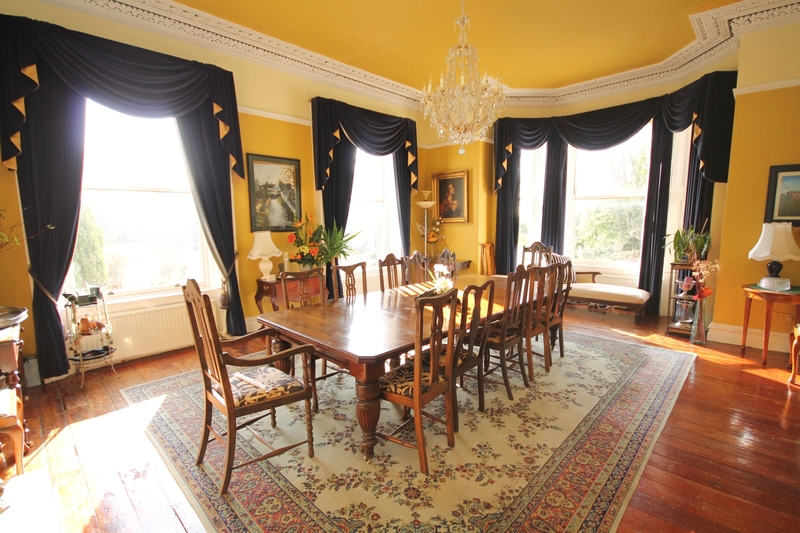 The house contains a reception hall, dining room, drawing room, kitchen, office, living room with kitchenette leading into conservatory, back hall, and utility. On the first floor there are four ensuite bedrooms, two with dual aspect along with a separate bathroom and two ensuite bedrooms on the top floor. In the basement there are five rooms with separate independent access containing approximately 1,600 sq.ft. (150 sq.m.) and this would be ideal for an independent unit or office (subject to the usual permission). To the rear of the residence there is a selection of outbuildings including garage, workshop and fuel store. This is an ideal family home in a much sought after location close to the town of Naas and Sallins which provide excellent amenities with superb road and rail infrastructure for the commuters with the M7 motorway access and trains service. The property is for sale through Liam Hargaden of Jordan Auctioneers — 045/433550 who is guiding €795,000 and can be contacted for further information or appointment to view.